If you're looking for the personal touch when it comes to your cover, why not try our list of approved insurance companies for your classic. Or, if you'd like the convenience of online price comparison, try www.Mustard.co.uk which offers dedicated insurance comparison for your classic. Footman James is one of the leading specialist insurance brokers for classic vehicle owners, collectors and professionals. From the day it was launched, way back in 1983, Footman James has been at the heart of the classic vehicle movement. We share your passion. For over 30 years, Lancaster has been at the heart of the industry, proudly offering dedicated insurance for classic vehicles. Lancaster policy benefits include agreed valuation, up to 25% discount for car club members, limited mileage discounts, laid up cover and free EU cover for up to 90 days. Call us to find out how we can provide the perfect policy for your classic, including a £15 OFF promotion when you quote CCFS15. Compare classic car insurance quotes from our panel of UK insurance providers: Quotezone could help take the hassle out of finding classic car insurance – all you have to do is complete one short form, and we’ll put you in touch with specialist UK classic and vintage car insurance providers, who could offer you cheap classic car insurance. Our panel will contact you to discuss a quote tailored to suit your needs, so why not put your mind at rest and fill in your details to get your quotes now? 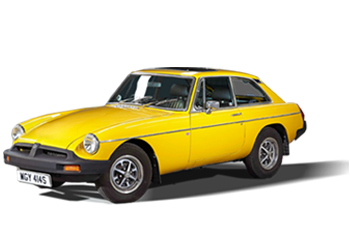 British-based Adrian Flux specialise in insurance for classic car enthusiasts. With a panel of over 40 insurers, our experts will offer you a tailored quote at a competitive price, whether its for a laid up policy for a Ford Cortina or agreed value cover for an Austin Seven. Owners' club and limited mileage discounts are also available. Carole Nash has focused on serving the needs of fellow enthusiasts since starting out. Today, we continue to offer value added policies that drivers who are passionate about their vehicles appreciate. All policies include UK and European breakdown cover, as well as roadside assistance and homestart, Agreed Value and Owners Club discounts. Over the last 50 years we've learnt a thing or two about classic car insurance. Whether it's demonstration cover, agreed values, European cover, club discounts or something more specific, you can guarantee we've seen it all before - That's what makes Heritage the right choice for your car insurance. Family run and Birmingham based, why not pop in for a cup of tea and some classic car talk? Heritage is part of Norton Insurance, established in 1965. At ClassicLine our premiums start from £78.00 for 12 months cover and include UK & European Breakdown cover and Motor Legal Expenses. Don't pay more for your insurance than you have to. Contact us today and speak directly to our friendly team of classic insurance specialists. Choose from our range of limited mileage policies, agreed value policies or if you have more than 3 cars within the family, including one classic, why not see how you can save money and time with a multi vehicle policy.